Did you know that the ancient Egyptians can be credited with creating the celebration of birthdays? They believed that when their pharaohs were crowned, they became gods, so their coronation signified their new "birth" as a God. Later it was the Ancient Greeks who borrowed this tradition, but very rightfully thought that a dessert would make the celebration all the more meaningful. The Greeks baked moon-shaped cakes to offer Artemis, the goddess of the moon, as tribute. They decorated the cakes with candles to make the cakes shine like the moon. I for one am so glad that over the centuries we have kept this tradition alive. Birthdays for me have always been a special treat - a way not only to commemorate a special occasion but also to have a good reason to indulge in all the cake one can eat. My big celebrations are actually for this space of mine. My blog - a place that I have always called an “extension to my home” and from the first day I started posting here I have always stayed true to this idea. Thirteen years ago on a late February afternoon, I decided to publish “What’s for lunch, Honey?” for the whole world wide web. I did not have a clue of what I was doing and what I was getting myself into - I just went with my gut and dived into the deep end. That has actually always been my way of doing things. My mum always likes to tell the story of how I learnt to swim. I was just a little over a year and my dad was refurbishing a hotel in Cairo at the time. We lived in the hotel and one day at the pool I was apparently kicking up a fuss as I did not want to put on the swimming floats I had been told to wear. For a second my mum turned away and I took the opportunity to run to the edge of the pool and just dived - literally into the deep end ... and I paddled my little heart out, but learnt how to swim that day ... without the floats. While my swimming story had a good outcome, there have been times that the “diving into the deep end” has not always been to my advantage and there have been times that I felt like I was drowning - but regardless of the outcome I always came out of the situation wiser and having learnt a new lesson. With my blog, I have done nothing but ride a fantastic wave of highs over the past thirteen years. Back in 2006, we were literally a handful of food bloggers. 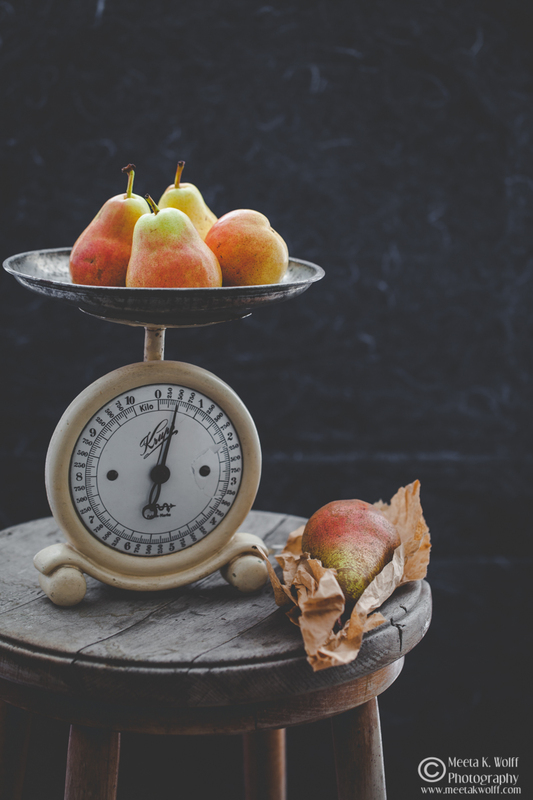 On the fateful day I hit “publish” I did not even know what a food blogger was, in all my naivety I was under the impression that “What’s for lunch, Honey?” would be read mostly by my family and friends, where we could have a common platform to discuss recipes and food trends. I did not pay an ounce of attention to my pictures or the quality of the visuals I was putting up. If you go back to a few of the posts from that year you will cringe at them - but I still hope you will come back to this post with a smile on your face. Because you see I do! There is a reason I have left those images there - they remind me of my journey I have taken, the winding path I have walked, the massive steps forward I have taken, all the many things I have discovered and mastered and all the incredible doors this blog has opened for me. I smile because I have met some incredible people through the blog and who I now feel very lucky to call friends. 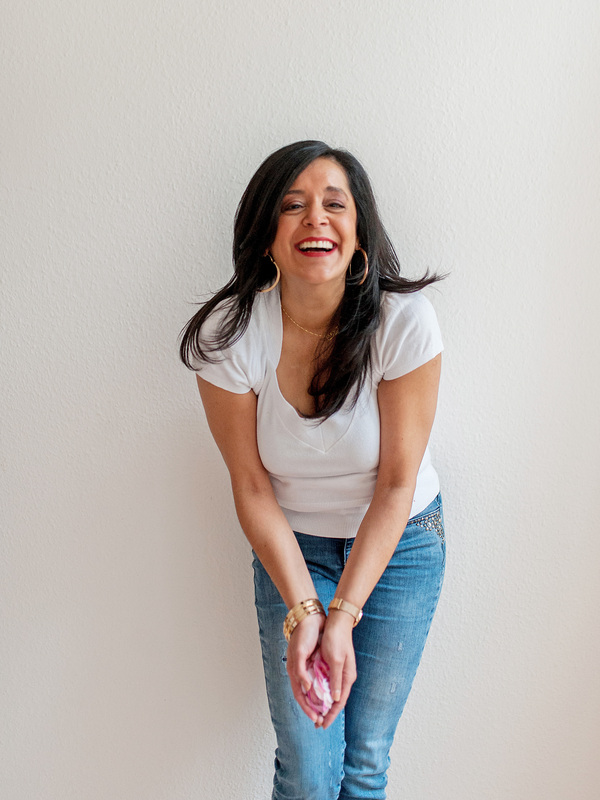 I smile because - as ridiculous as it may sound - through this blog, I discovered my real passion in life and my calling. At some point, I did come to the realization that visuals do matter and the eyes eat before our stomachs so I invested in a DSLR camera, a good lens and began discovering everything I could about food photography. Luckily, this blog introduced me to the handful of food bloggers that were active back then and our platform was Flickr. I took pictures and posted them on the various photography groups, inhaling all the feedback. I would then go back and apply the new details to my next set of images. I read all I could find but mostly - true to my nature - I just dived into it and practised, disciplining myself to grasp all the aspects of food photography. What started as a platform to write, develop and exchange recipes took a turn into the world of photography, particularly food photography. I was - and still am - happiest when I am behind the camera. I found myself developing and creating new recipes just so I could photograph and portray them for my camera. At some point “What’s for lunch, Honey?” began getting a wider attention and the accolades began to pour in. My blog and I were often featured in renowned magazines and websites all over the world - but what still to this day makes proud as a peacock is the fact What’s for lunch, Honey? 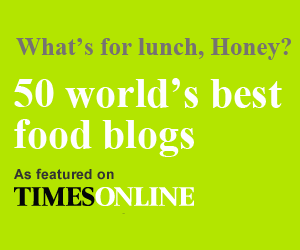 is one of 50 best food blogs in the world as determined by The Times UK. I was not swimming anymore - I was flying high! I still smile at this. Even though there was a lot of success I really made sure to keep my feet firmly planted to the ground - my grandmother always used to say that high flights of haughtiness always ends with a low exit of scorn. I remember hearing this all my life and reminded myself to enjoy the feeling of flying, but staying humble and keeping my dignity would get me further. I never was the one to settle on my laurels as my inquisitive and curious nature automatically pushes me to discover more and keep moving on my path. I have shared so many stories, ideas, thoughts and information on this blog - my mind gets dizzy at all the words I have bubbled, churned and served on here. I enjoyed the writing - this was the space where I came to sort my thoughts or tell you all a story I was reminded of from my teenage years or childhood. It allowed me to connect with you and get your feedback. I loved being here and it truly fulfilled my idea of inviting friends over to my extended home to share food, photos and conversation together. Through the steps, I have taken with What’s for lunch, Honey? I was able to walk through some spectacular doors that the blog opened for me. 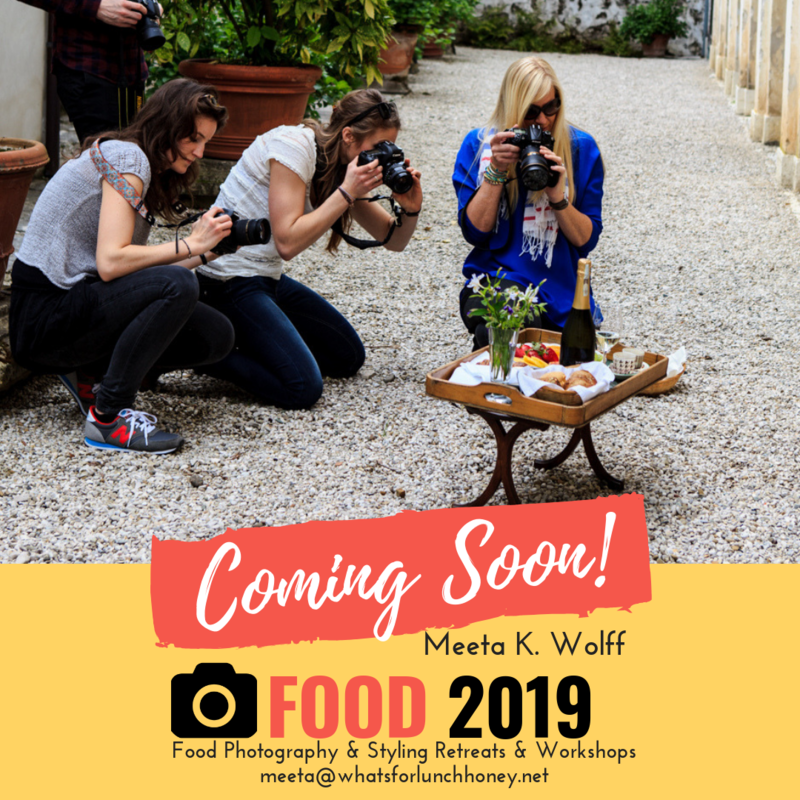 I took on the role of the instructor and now teach food photography to some wonderfully talented people in bespoke workshops all over the world. I now work as a food photographer and stylist for several clients and magazines. And when I am not working I am still taking pictures, diving into the deep end to learn something new and keep pushing myself further. The world of food blogging has changed so much in thirteen years. While I truly enjoy discovering all these new blogs, I am not an advocate at how things have developed. The stress and pressure it causes on many of my younger fellow bloggers do not add up in my book of doing what you love - blogging burn-out is a real thing now! I have not been around here as often as I would have liked to in the past year. 2018 was personally a hard year as I lost two very close people in my life. Although I had so many words I wanted to spill out and get out of my system every time I sat down to write a post - I felt overwhelmed. I needed the time. I feel like coming back to my extended home again and hope I can find a better routine to share my stories more regularly with you all. For today, I am happy to have you all here again with me. I have cake for you - a sublime cake that fits the purpose of a humble yet extravagant (if you can imagine such a thing) celebration! My grandmother always said that saffron was the queen of all things glorious and divine, sharing it with friends and family shows how special they are. 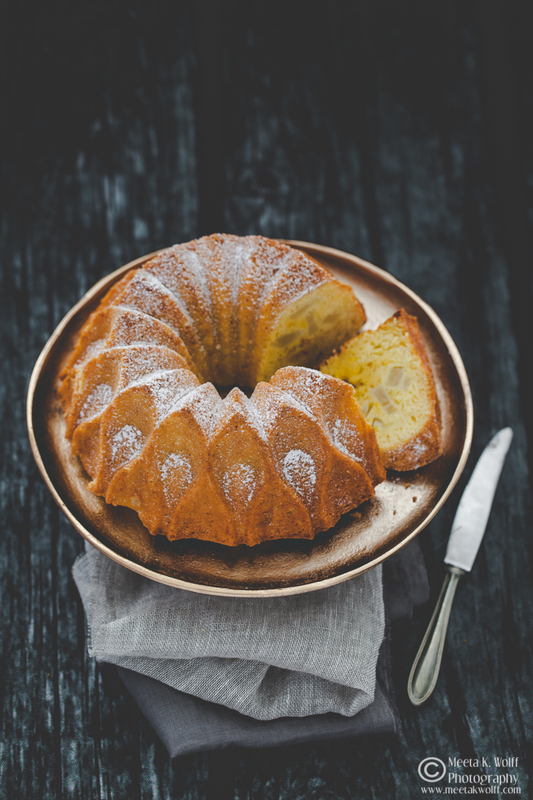 I listen to my grandmother and made a cake that incorporates the humble pear with the grandiose saffron. 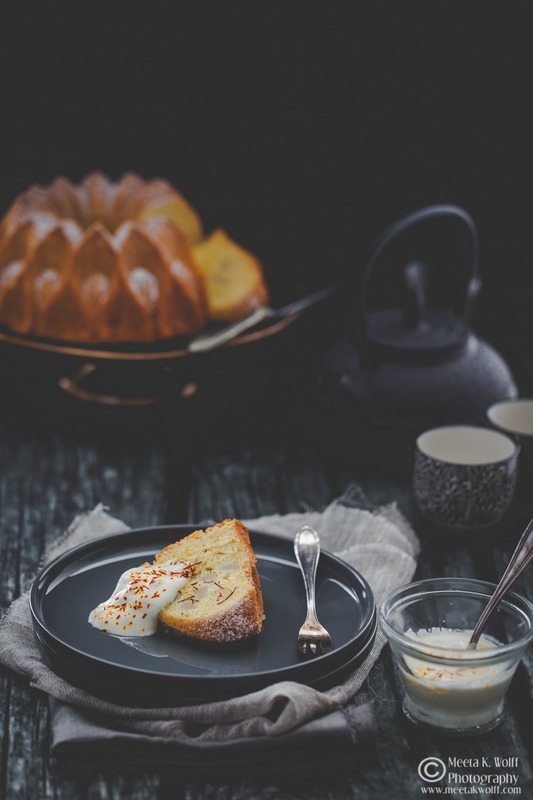 It is a simple and easy bundt cake but light and moist so that indulging in two slices will be easy. I also use an extravagant bundt form fittingly called the “crown” - after all my blog celebrates a special occasion - today I dress it up in a crown to thank it for all it has given me. Add the melted butter to the milk and sprinkle the saffron into the mixture. Stir to combine and allow to infuse. Set aside. Add a squeeze of lemon juice to the pears to avoid them getting brown - set aside. In a mixing bowl of a standmixer and using the ballom whisk, beat the sugar and eggs until thick, light and fluffy. Mix the remaining dry ingredients together and sift into the egg mixture. Fold the mixture with a spatula until incorporated. Add the Greek yougurt and saffron-milk and fold gently until completely combined. Pour the batter into the buttered bundt pan. Add the pieces of pear. Bake the cake for approx. 30 to 35 minutes in the oven or until a skewer inserted into the middle of the cake comes out clean. Leave to cool in the pan, then turn out onto a serving dish or étagère. Dust with icing sugar and serve the slices with a mix of extra Greek yogurt and saffron. Thirteen years is a long time - moreover those are a lot of posts. There is always something homey about the aromas of a freshly baked cake - but the perfume that fills the house with this cake is rather sublime. 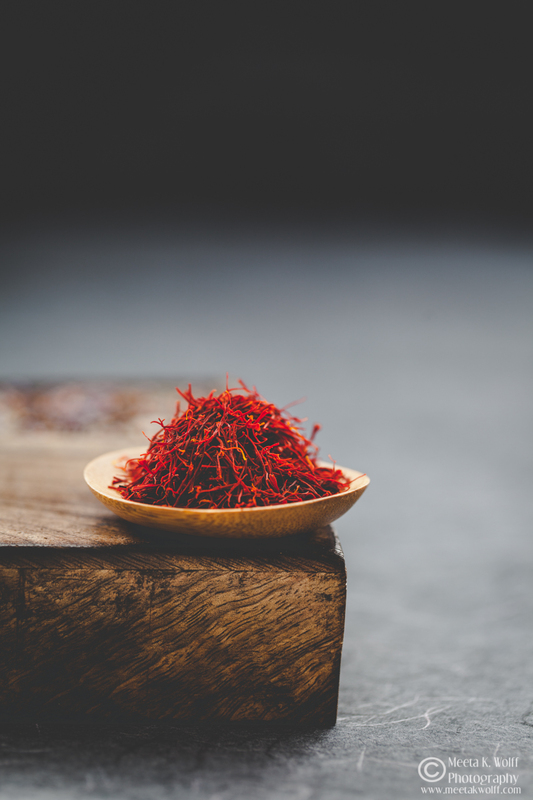 Make sure you do get really good quality saffron - I am a bit partial to the Persian ones - I find they have a slightly sweeter fragrance and it adds a beautiful color to the dishes it is used in. Together with the juicy pears this truly makes a brilliant way to celebrate any birthday! I love this post! 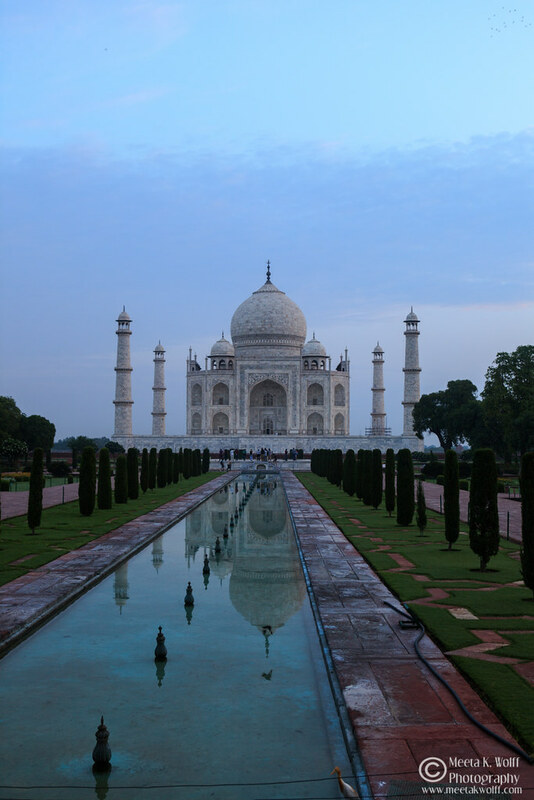 Your photos are magical, and that pile of saffron is epic! Love the styling to this cake. Looks delicious and perfect as my Tea time option. 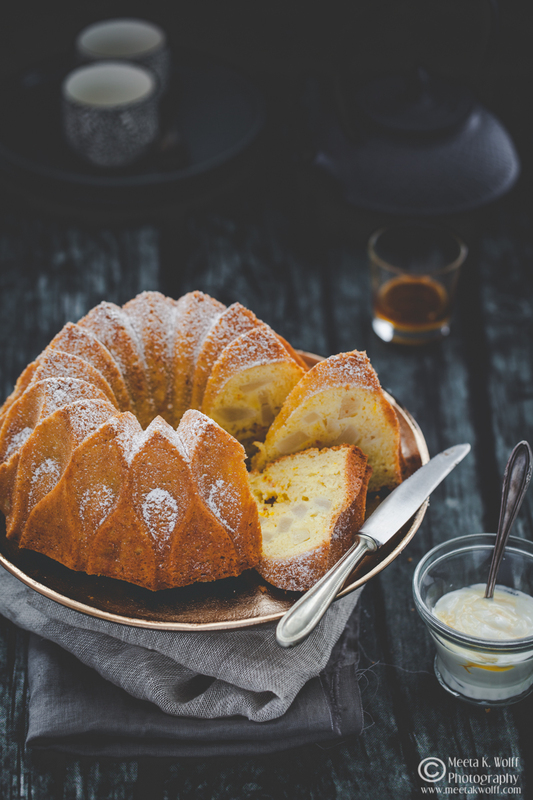 What a delicious looking cake, and a great use for saffron! 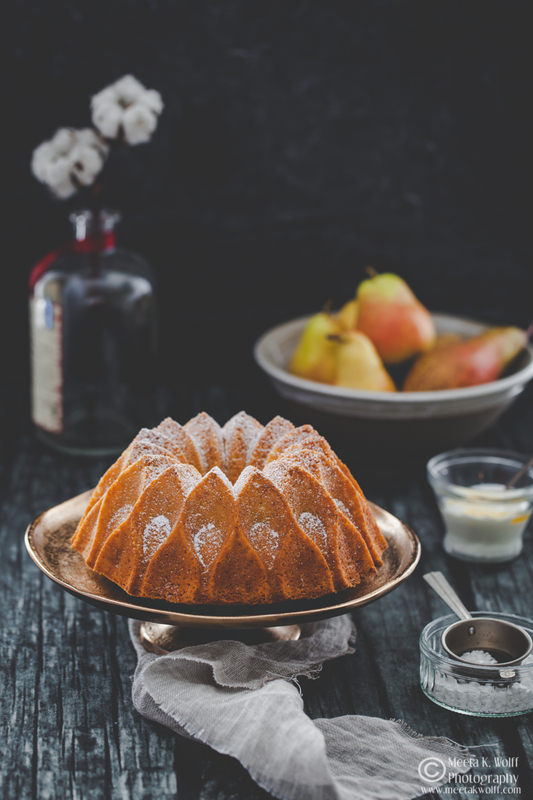 I haven't used pears in a cake before, so look forward to trying this! I have never cooked with saffron before, but I need to get some. It is so pretty and looks like it imparts a unique flavor. I would be proud to serve this gorgeous cake! This cake looks so beautiful, pretty much too elegant to cut into it and eat it. I love the flavours as well, it's not your usual combination! That cake sounds so tasty. And it's so pretty! The cake looks sooo delicious!!! I don't know how Saffron tastes, would love to try it for sure. Thanks for sharing. That looks delightful! I love the fluffiness and the presentation. I will bookmarked this recipe for future references. Not on.yndoes this cake look gorgeous, but the flavor combinations sounds incredible! Adding this to my list of recipes to try! 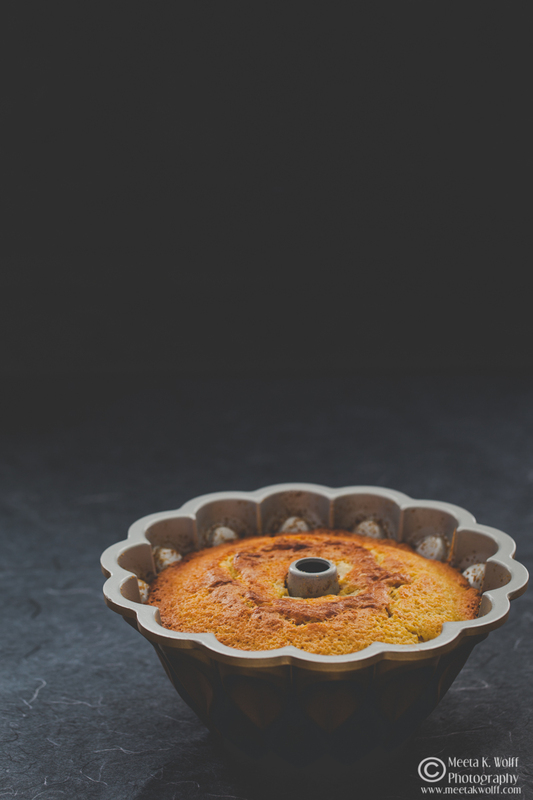 Thank you for sharing this recipe- I adore cakes but have never tried to make it myself. I will now, seems more simple than I thought and how stunning is yours! I love this cake recipe so much! Every single ingredient sounds amazing, I’ll definitely be adding this to my list of things to try! I love cake. The pictures alone sealed the deal for me. This looks and sounds incredibly tasty. So cool! 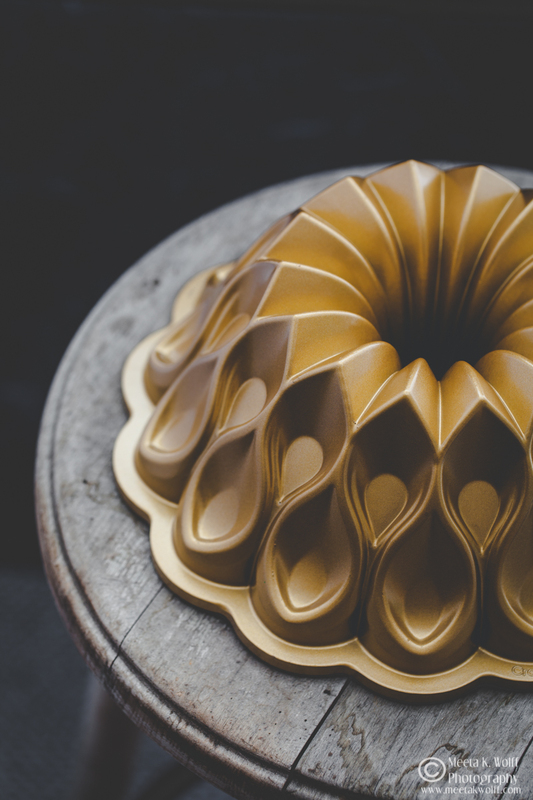 I have a fun design bundt pan that I love using. Will have to try out this recipe in it! Those are such pretty pictures! I wonder if I can make a vegan version of this... Thanks for sharing!